DIMENSIONS: HEIGHT: 8', DIAMETER: 4' 6", SEAT DIMENSIONS: LENGTH 29" AND WIDTH 14"
MUST HAVE A 2" BALL HITCH ON VEHICLE WHEN PICKING UP. HOLDS APPROXIMATELY 500 GALLONS OF WATER. TAKES ABOUT 45 MINUTES TO FILL WITH A WATER HOSE. DOES NOT COME FILLED WITH WATER. 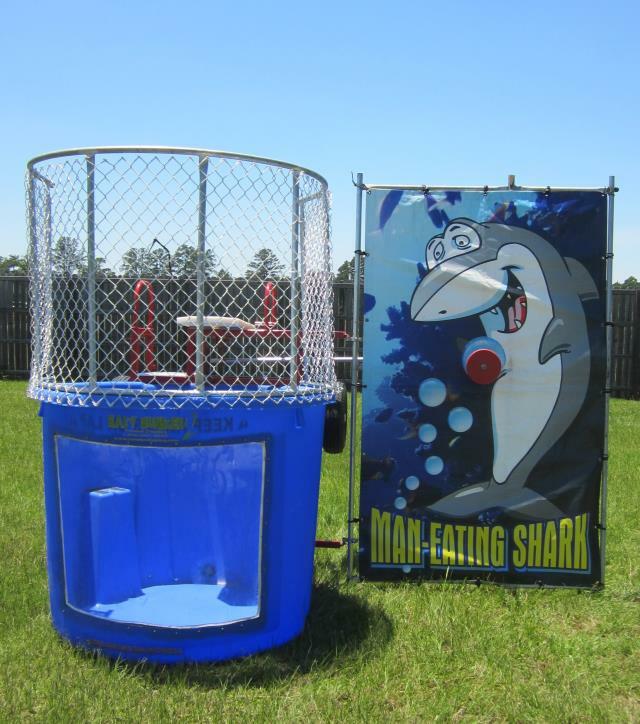 * Please call us with any questions about our blue dunk tank rentals in Longview TX.